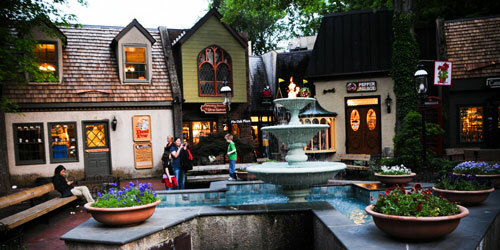 Pigeon Forge, Gatlinburg and Sevierville have a very rich history. From early settlers, to historic monuments, to today's best vacation site, learn more about the history of the area and gain an appreciation for what made it into the popular destination it is today. Pigeon Forge was once part of North Carolina. Settlers first reached the area in 1788, when the area was governed by North Carolina. 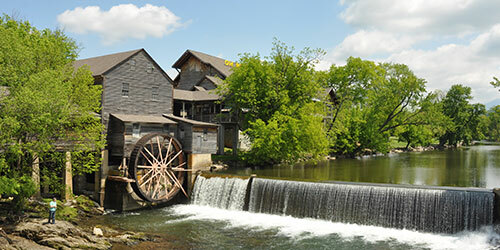 Pigeon Forge was the site of an iron forge built in 1820 by Isaac Love. 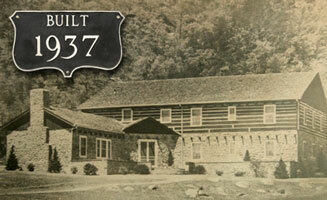 His son built the Historic Old Mill in 1830. The other half of Pigeon Forge’s namesake is the passenger pigeon. Although passenger pigeons are now extinct, the community of Pigeon Forge preserves the memory of bygone era that brings to mind the rich diversity of life in the the wilderness frontier that was East Tennessee. Sevierville was founded in 1794, however it was an important native american community before settlement by pioneers. Several archeological sites are found in Sevierville, including a large burial mound on the banks of the Little Pigeon River just off of the Forks of the River Parkway. In 1881, items found at this site during an archeological survey were sent to the Smithsonian Institution in Washington, D.C. The artifacts date to 1200-1500 A.D., while nearby sites reveal villages of the Woodland Indians from 200 A.D.. Sevierville’s distinctive courthouse was constructed in 1895. 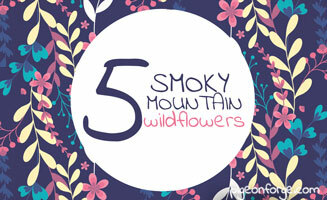 Gatlinburg was originally known as White Oak Flats. The community was later named after a local businessman named Gatlin. Logging operations in the rich forests of the Smoky Mountains was the principal source of income for the community. Most of the early settlers were Scots-Irish who felt at home in the Highlands of Southern Appalachia, reminded by the Smoky Mountains of the misty Highlands of Scotland. The White Oak Flats Cemetary in Gatlinburg is a reminder of the hardships faced by these early settlers. Tennessee was the last state to secede from the Union; however, most residents of Sevier County remained loyal to the Union. Although no major confrontations occured in Sevier County, several small skirmishes between Confederate and Union forces did occur. 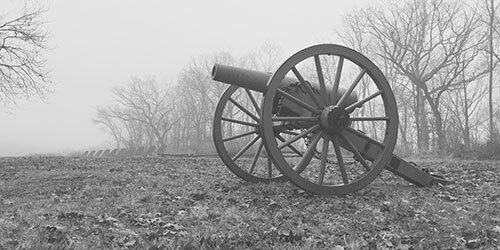 Guerrilla fighting was common in Sevier County, while nearby Knoxville was a major theatre of operations during the Civil War. 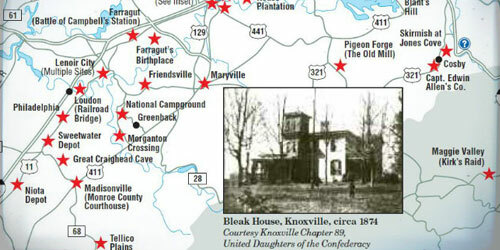 The community of Dandridge in neighboring Jefferson County was also a site of strategic interest. 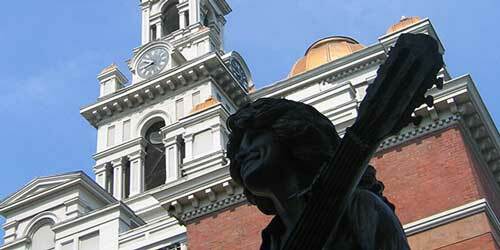 Sevier County is named for John Sevier, a Revolutionary War Hero who fought in the Battle of King’s Mountain. Sevier County history dates to the time when Tennessee was known as the State of Franklin, named for the legendary Statesman Ben Franklin. The First Baptist Church Cemetery in Sevierville is the final resting place for many local veterans of the Revolutionary War and the War of 1812. The Cemetery is at the intersection of S.R. 448 and Main Street in Sevierville.